The Pro KIP Trustees Voting Against Reality. Hillbilly politics. Voting against what actually took place. Goofs. 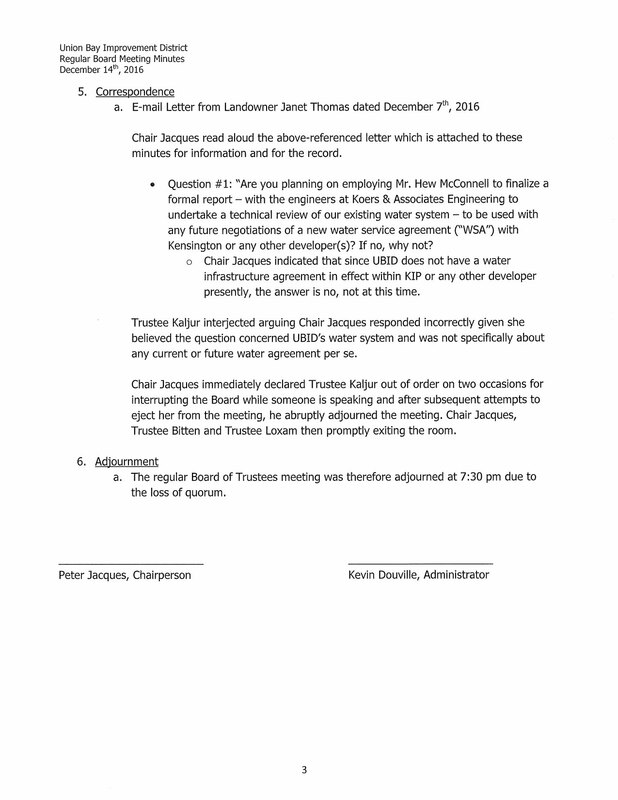 Regarding Trustee Kaljur being late for the Dec. meeting as Loxam points out – it was 1 minute and 19 seconds after the meeting starts that Trustee Kaljur takes her seat. I’d like to point out that previous Chairs of UBID would have waited once they realized a Trustee had arrived and allowed them to catch up. Here’s Loxam speaking out of turn and interrupting Kaljur and ignoring the chair. Speaks whenever he feels like it. At the March UBID Board Meeting Trustee Kaljur put forth a motion to make corrections to the minutes of the December UBID Board Meeting. 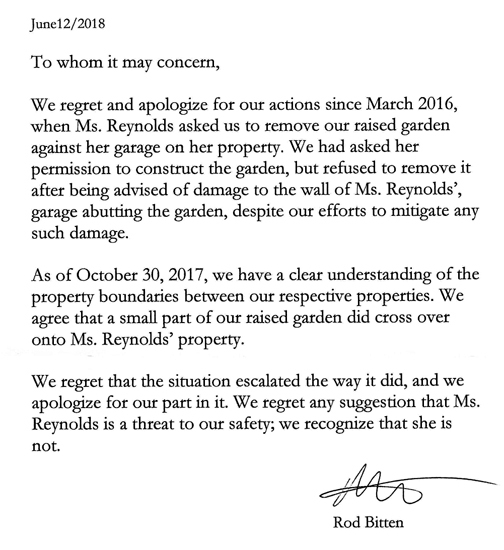 One was the omission of her name as attending the meeting; posting the two letters on the website as was indicated at the Dec. meeting and the last was correcting what actually transpired at the abrupt ending of the December meeting by the chair. The following clip from December 2016 displays the chair’s temper and the discussion of the letter from Loxam which Kaljur wanted to read but Jacques refused to allow her. 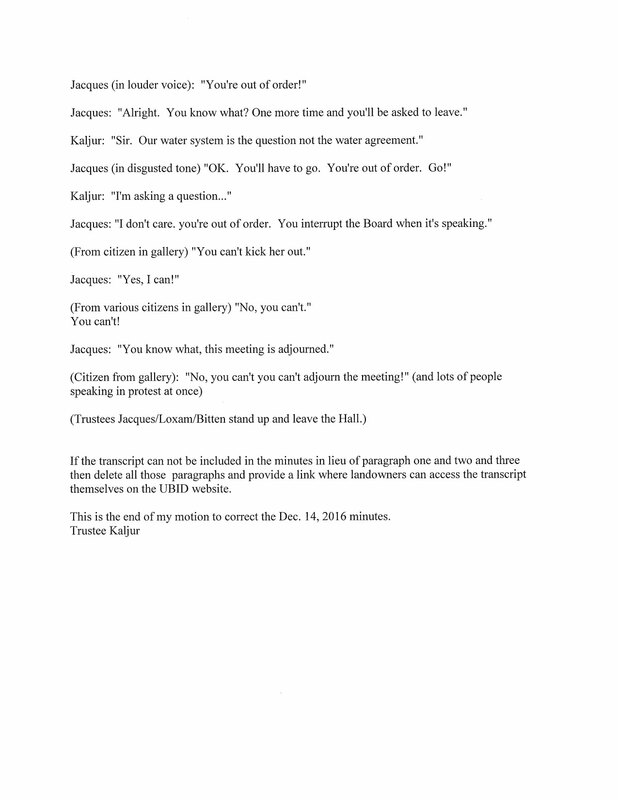 This page from the agenda pkg above describing what transpired at the Dec. UBID meeting is one of the items Trustee Kaljur is attempting to correct in the minutes of that meeting. This is the video clip of Jacques losing it and ending the meeting – what a poor excuse for a Chair. 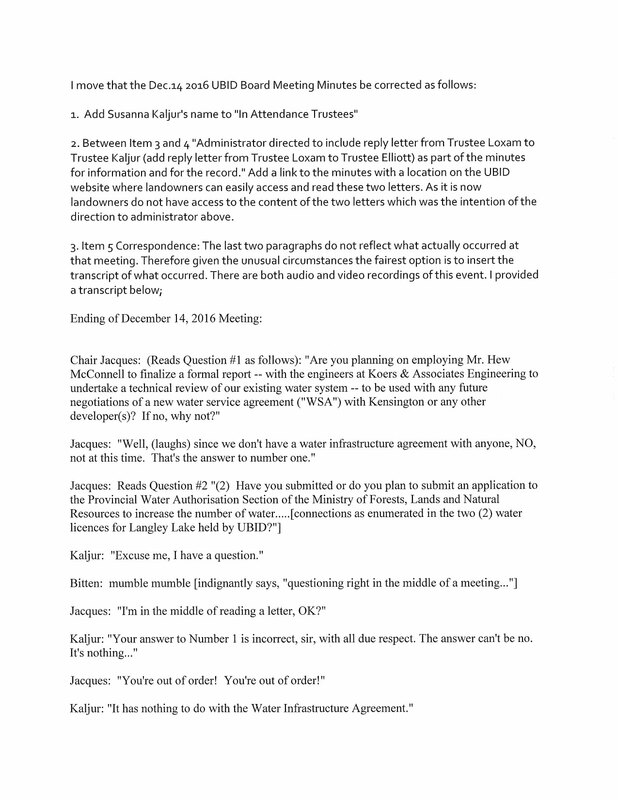 These two pages of what actually took place at the December UBID meeting is what Jacques, Bitten and Loxam are disputing.